I enjoy Herodotus because, as he prefaces, he is recording the stories people told him. Now, I know he got the order of the Pharaoh's completely wrong, but I was quite entertained. I didn't read it expecting actual history until I got to the more contemporary accounts. So this coming semester, I'm taking a course all about Thucydides. "A collision at sea can ruin your entire day"
I'm now taking US History in college. Come back when you get to Davy Crockett. Grant me mercy, oh 403! Oooh, a history topic! I love history. Unlike most people, I research it for fun, most of my research focusing on the ancient world and Rome. Bah, nonsense! Go back to your mud-huts, you slavering barbarians. You envy what we have built! Unlike most people, I research it for fun, most of my research focusing on the ancient world and Rome. Sick! Are you more a fan of the Republic, or the Empire, or both? Both, but I usually I end up super interested in one Roman phase, then another. For example, for a few months i'm really interested in the Republic, then some time later I somehow end up researching Byzantine history, then the Crisis of the Third Century, and so on. Really there's just so much to learn about Rome I can't stay focused on one period for more than a few months or weeks. I see. You have a favorite ancient author, or do you switch around so much that you can't focus on one dude? I tend to not focus on one person too much, yea. I've been meaning to read Caesars Gallic Wars and Procopius's works (especially The Secret History) for a while now though. Ah RIP, I haven't gotten around to those. I'm a pretty big fan of Suetonius personally, though I personally prefer Republic stuff. Overall though, Roman history is rather intriguing to me, especially the culture and engineering. Everyone here should check out this youtube channel. 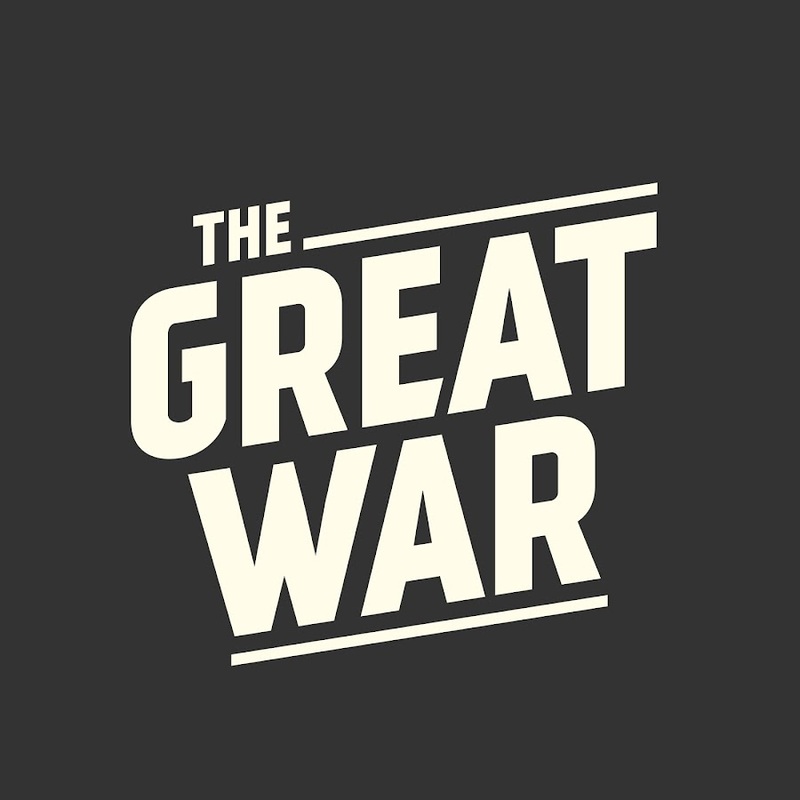 It goes in-depth, week by week, into World War I.
I come from Italy, which as some of you may know is basically a synonym for History, so everywhere I go there's always something new to discover: ancient barbarian culture in the north, greek colonization in the south (Magna Grecia), the Roman Republic and Empire, the great medieval castles and cathedrals, Florence and other cities with their amazing works of art from the Renaissance, and much more. But honestly I'm much more interested in the natural environment, and all the great sites located all over the country. WWII easily, with a close second being the civil war. Having relatives in both conflicts makes it more interesting. But WWII wins because it makes me feel more pride in my country. My great uncle served on Iwo Jima in the marine corps and my Great Grandfather was in the navy at that time. When I think of heroes I think of them and it reminds me of the struggles my country has gone through to preserve freedom. The Republic is corrupt and requires the steadying hand of a dictator! Not sure if I've ever made it known, but, I love history. The early Iron Age to the split of the Roman Empire is probably the period of classic history I enjoy studying the most, but the Renaissance has also captivated me as well. Recently though, I've become captivated with any and all things WWI: its effects, the flourishing of new and strange weaponry, as well as battles beyond the Western Front. I'm not sure if this is the case with anyone else, but I feel WWI is exceedingly overlooked when compared to WWII. Sure the US saw combat for only a year and its effects lingered on into the far deadlier WWII, but there's so much new content being discovered from that era. It's also raised misconceptions that all the fighting was majorly done on the Western Front, or that Serbia was the main cause for the war. How generals and commanders like Von Hotzendorf were able to manipulate their countries into declaring war was always an interesting concept to me. This also raises questions of numerous hypothetical scenartios, like, what if Ferdinand's driver hadn't made that wrong turn? Would war still be inevitable? Would military technology and tactics have progressed by a different means, or would they still stuck in the 19th century? I'm taking a world history class this semester. I can't say I'm really enjoying it since all it is is an overview of human history up to Napoleon.